During the Super Bowl, Amazon ran an ad for its virtual personal assistant Alexa that showed various guest celebrities taking over after she became ill and lost her voice. Among those pinch hitting for Alexa in the ad were Gordon Ramsay, Rebel Wilson and Anthony Hopkins. But that was all make believe. Today, Alexa really is down with some inquiries receiving delayed responses, and some not being answered at all. Turning to DownDetector.com, we can see that problems with Alexa were first reported around 9:39 am EST, and peaked at 1,099 complaints. 53% said that the problem was the lack of a connection to a server, 38% blamed the sign-in process while 8% put the problem on certain websites. Despite the issues, you can still control your smart appliances by using the Alexa app. UPDATE: The nation's largest carrier, Verizon, is also having problems today. 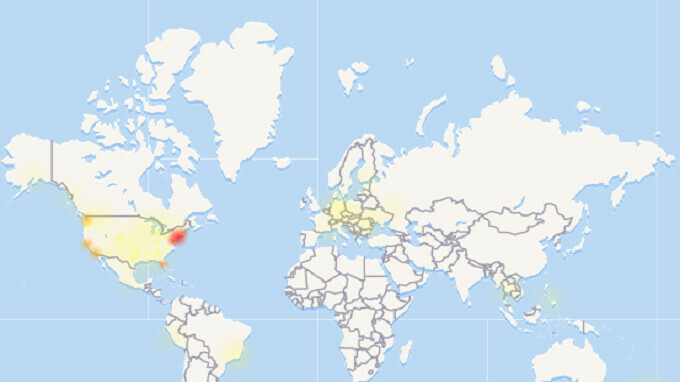 Since 9:06 am EST, Verizon has experienced problems with its service. DownDetector shows a peak of 1380 complaints with 43% reporting a problem with their mobile phone, 33% complained about the mobile internet, and 22% said that their landline internet is not working. Alexa, which launched as the virtual assistant on Amazon's category creating Echo smart speaker, can now be found on several handsets and on third party smart speakers. Really Ironic Maybe they should let the voices of celebrities be their on their on Alexa. No Alex's is working just fine here in uk. LinkedIn was down too for some time. No issue with Verizon. Have been using the network (& app too) all day since the house's WiFi kept getting knocked out (power outages) several times. Shouldn't Phonearena at least mention the huge storm may be partly the cause? This is poor reporting.